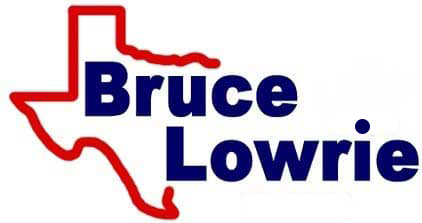 Our Bruce Lowrie Chevrolet sales department invites all new car shoppers near Aledo, Texas, to visit our auto dealership in Fort Worth to discover the aggressive 2019 Chevy Camaro that is now available! Model highlights include four powertrain options, a Driver Mode Selector and the ability to turn your eye-catching vehicle into a 4G LTE Wi-Fi Hotspot. Use our interactive website to shop the 2019 Camaro lineup today! Motorists can have complete control of their ride, as the four available engine options allow drivers to customize a 2019 Chevrolet Camaro right from the start. Opt for the 2.0-liter turbo engine to enjoy Direct Injection, Variable Valve Timing and a 275 horsepower rating. Step up to the 3.6-liter V6 engine if you're looking for an available 8-speed automatic transmission with Active Fuel Management™ and a horsepower rating of 335 or opt for the 6.2-liter LT1 V8 for an available 10-speed paddle-shift automatic transmission and a 455-hp rating. If you're looking for top-of-the-line, the Supercharged 6.2-liter LT4 V8 option can't be missed. This engine provides driving enthusiasts with a horsepower rating of 650, as well as 650 pound-feet of torque. Upgrade to a powerful 2019 Camaro with help from our Texas auto dealer, value your trade-in via our online form! With features like a 7-inch diagonal touch-screen, smartphone integration, navigation assistance, Bluetooth capabilities, and a Head-Up Display that offers three different views, it's easy to see why so many Arlington, TX new car shoppers choose the 2019 Chevrolet Camaro sports car. Our Bruce Lowrie Chevrolet team invites all those who are interested in this model to visit us. We'll go over all the systems this sleek new vehicle has to offer, such as Launch Control and a Performance Data Recorder, and can introduce you to our finance center if you're looking to explore car loan options. If you're shopping new and used car dealerships that offer reliable vehicles that will actively work to keep you and your passengers safe while on the road, turn to our Bruce Lowrie Chevrolet. We have a number of 2019 Chevrolet Camaro vehicles in stock, which boast an ultra-high-strength steel safety cage and a standard rear vision camera. A range of add-on features is available as well, such as Forward Collision Alert, Rear Park Assist and Lane Change Alert with Side Blind Zone Alert. We proudly serve nearby Aledo, TX drivers, so don't hesitate to drop by to meet the Camaro lineup! Our Bruce Lowrie Chevrolet staff is here to help with your 2019 Camaro purchase from start to finish, so let us customize a shopping plan that fulfills all of your auto search requirements!